Georgia Southern University’s expanding campus just got 1,400 acres larger. While the University is working on the upcoming consolidation with Armstrong State University located in Savannah and Hinesville, and an enlarged student population of 27,000, the Statesboro-based University has acquired its first permanent scientific field station. 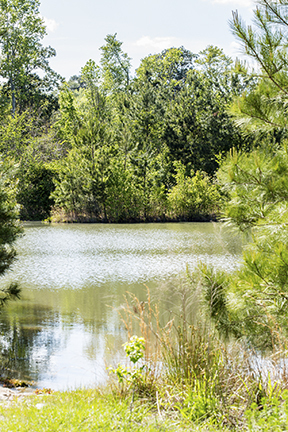 Known as the Effingham Wetlands, the parcel measures about 1,400 acres and was recently donated by the Southeastern Trust for Parks and Land (STPAL) to the Georgia Southern University Foundation with the express purpose of using the property as a vibrant living laboratory. 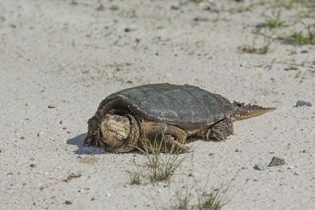 According to STPAL’s field studies, the property located in Effingham and Chatham counties, is approximately 841 acres of cutover and regenerating pine; 231 acres of riparian wetlands; 68 acres of hardwoods; 40 acres of mature pine; 15 acres of open grasslands and about 7 acres of small ponds. 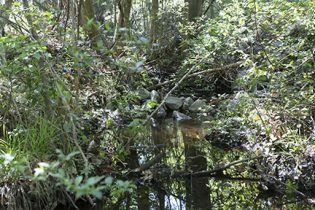 The major water feature is St. Augustine Creek, a tributary of the Savannah River. The site will soon become a rich resource for ongoing scientific research where long-term field experiments will monitor the property’s varied ecology. Examples of natural features to be studied include its native plants, surface and sub-surface water flow, soil biota, insects, reptiles, amphibians, mammals, fungi, bird migration and potentially many other learning opportunities. The site is even ideal for studying the region’s tick and mosquito populations. While the property is largely a wetland habitat, it’s also a marvelous mix of forest and other Coastal Plain habitats lending itself to meaningful research that could yield answers for real-world issues. As Georgia Southern faculty and students collect valuable data in a protected setting, their findings could result in better policy decisions on how natural resources are managed for economic benefits while preserving cleaner water and healthier soils. Georgia Southern scientists will have the ability to take control of the site without fear of theft or disturbance of their scientific equipment. “This wetland extends and enhances the learning environment beyond the classroom giving faculty, graduate students and undergrads advanced training in the scientific method by doing actual hands-on research in their chosen field of study,” says Martha Abell, Ph.D., dean of the University’s College of Science and Mathematics. Another hot topic among forest experts is the symbiotic relationship between soils, fungi and trees related to forest health – “one more fruitful line of research now available to Georgia Southern student scientists,” Vives adds. Kelly Pope, senior director of development for the University’s College of Science and Mathematics, represented Georgia Southern University Foundation throughout the process. STPAL has acquired 35 properties in Georgia, Tennessee and North Carolina totaling about 15,000 acres. The Georgia Southern Effingham Wetlands site was donated to STPAL by a generous individual. STPAL then placed deed restrictions on the parcel to ensure it would be conserved perpetually and never developed. All STPAL properties are protected with various forms of conservation statuses; many are slated to become public parks. In fact, university-held properties, field stations and marine labs are playing valuable roles around the world to study climate change, biodiversity loss, pollinator decline and invasive species biology. Over time, Georgia Southern scientists plan to restore the property to natural habitat types and divide it into management zones with restoration targets. Eventually, the property will also be shared with local K-12 students as an educational resource, and guided field trips will be encouraged for targeted groups like the Ogeechee Audubon Society whose members can assist with annual bird counts. Only time will tell what they might discover. ← We are done designing and flagging 12 miles of new multi-use trails at Talking Rock Nature Preserve!